Yet another week has gone by and I have even more homebrewing experiences to share with you. I start the video by showing off my new YakimaValleyHops.com t-shirt and a package I received recently of stuff that I ordered from the site. 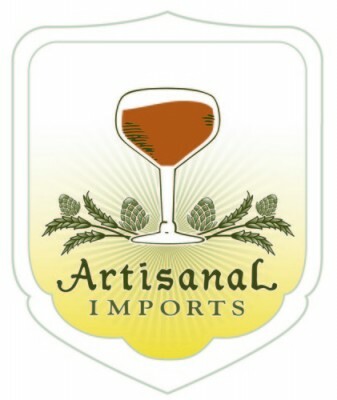 First, I ordered some El Dorado hops that I need just in case I have to re-brew my SJ Porr Challenge 2014 beer aka Self Righteous Wookey Black Rye IPA. The rest of the items in the order were water chemistry related and they are lactic acid, malic acid, calcium chloride, and calcium carbonate. The reason that I ordered them is that I’ve been meeting to start experimenting with tweaking my brewing water and wanted to make sure that I had a basic collection of salts etc. to allow myself to start doing so in the near future. See the information below to read out the functions of the minerals and acids that I listed above. I then go on to talk about my two most recent home-brews; my imperial rye saison and oatmeal brown ale. Both of which I brought to my local homebrew club’s (New York City Homebrewers Guild) August meeting and to my satisfaction received positive reviews on. The imperial rye saison (Seven Blessings Rye Saison) has been in the bottle for 2 weeks and although it’s carbonated, it needs some take to dry out and for the 9% abv to settle down. Then moving on to my oatmeal brown ale i.e. my first kegged beer; I give my tasting notes, talk about how I carbonated it in my new keezer, and the growler that I brought to the homebrew club meeting. I then talk about my upcoming brews which are a Mosaic wet hop ale, Farmhouse IPA, breakfast stout, and english barleywine and give an update on my bohemian pilsner aka Lion’s Roar Pilsner. Included in my plans for it are raising the temperature to 65F between Sunday and Tuesday morning (8/24-8/26) and then while I’m on vacation in Vermont for Tuesday and Wednesday it’ll go through its diacetyl rest and be ready for me to cold crash and lager it in my keezer where it will eventually be dry hopped with Saphir hops and then carbonated. The information below was taken from the book Water by John Palmer and Colin Kaminski (Brewers Publications, 2013), the AHA forum, and Morebeer.com. Calcium Carbonate – for this mineral also known as chalk it was hard to navigate the book to get an exact definition of its function so I did a google search and found the following on the AHA (Homebrewers Association) forum. “The only effect calcium carbonate will have on the flavor of your beer will be negative, unless you’re making a dark beer and know that you need it based on a complete water report. Carbonates are only useful to balance out the correct amount of acidity. In most cases, I find that chalk is often not needed. It’s better to err on the side of caution with water additions, especially with chalk” (from this thread). Lactic Acid – “Lactic acid is a very important part of some beer styles but it can also be used for acidification of water. Both the Reinheitsgebot and Biersteuergesetz German beer laws permit only naturally occurring acids to be used in the brewing process…Lactid Acid can be added in three ways: acidulated malt can be utilized in the mash, lactobacillus can be grown in the mash as part of an acid rest or sour mash, or food grade lactic acid can be added directly…The flavor of lactic acid is typically described as a smooth sourness and is reported to have a flavor threshold of 400 ppm. Therefore, 400 ppm may not hold for all individuals. In addition, many beers typically have a low concentration of lactic acid (typically 50 – 300 ppm) naturally, from fermentation by-products. Therefore, it may not be possible to add less than 400 ppm of lactic acid to water for alkalinity reduction with out flavor impact.” (Water, pg. 117). Once I post my video where I test NYC’s water for brewing I’ll bring back the contest that I introduced back in May where the prize is a copy of the book Water autographed by John Palmer. Cheers! 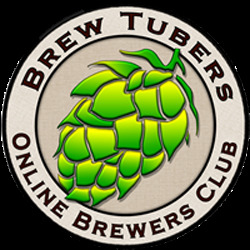 This entry was posted in Homebrewing and tagged Bitter and Esters, bohemian pilsner, Brewing water, calcium carbonate in beer, calcium chloride in beer, farmhouse IPA, gypsum, homebrew wednesday, Homebrewing, interborough brown ale, John Palmer, lactic acid in beer, malice acid in beer, oatmeal brown ale, pivo pils, wet hop ale, yakimavalleyhops.com. Bookmark the permalink.